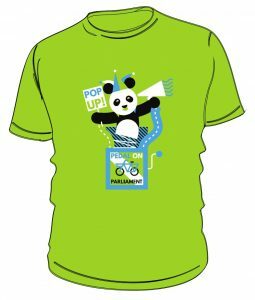 No sooner do eight pop-up events get announced – than another few come along! Hot on the heels of our last announcement, here are four more fun and creative ways to take part in our weekend of action! We strongly believe you shouldn’t need to be a superhero to cycle – yet all too often surviving on a bike on Scotland’s roads requires feats of speed, bravery, and endurance that are beyond the majority who simply wanted to get to school, work or the shops. That’s particularly the case in Midlothian, where very little is spent on safe cycling infrastructure, making anyone who manages to cycle there a true hero. 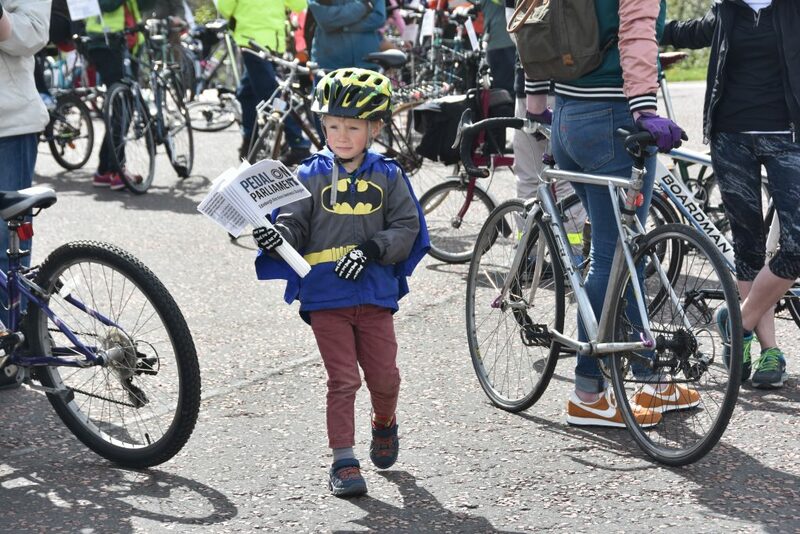 So the plan is to call for cycling conditions fit for ordinary mortals — by dressing up as your favourite superhero and coming on your bike or scooter for a costumed ride and an afternoon of superhero-themed fun! You can find out more here or sign up to the event page. 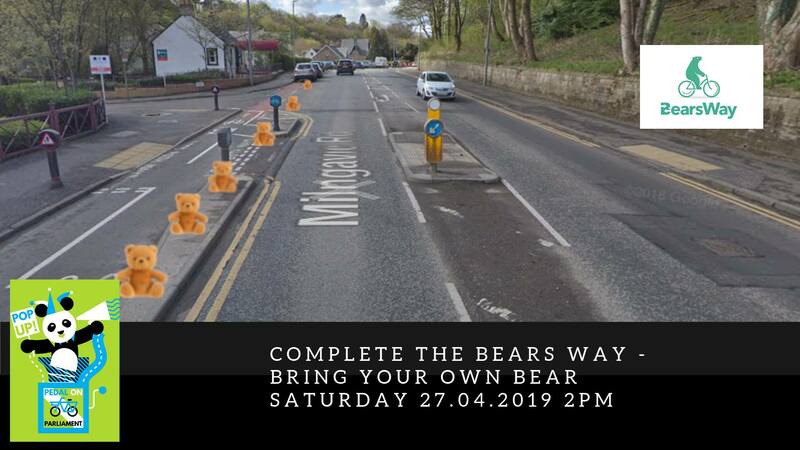 A noisy backlash meant East Dunbartonshire lost its nerve over the Bears Way – leaving this protected route for cycling truncated to less than a mile long. 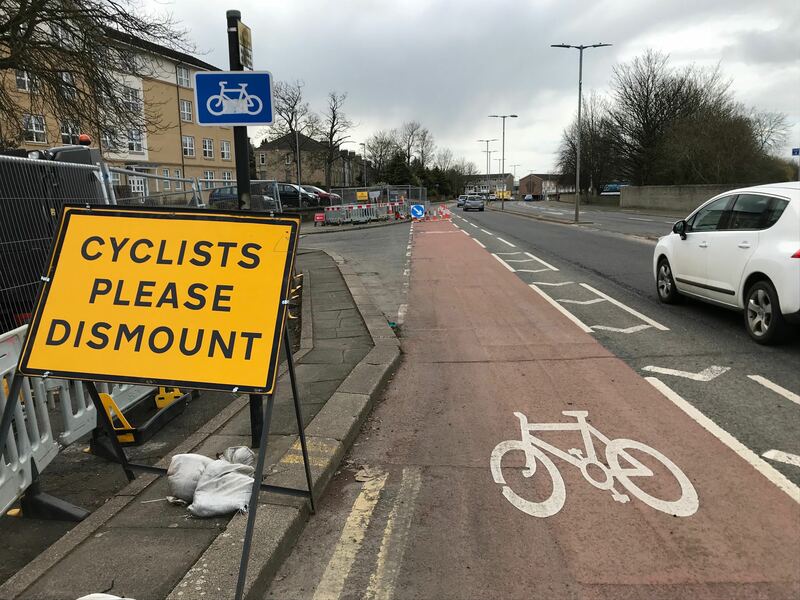 Completing it could create a key route in East Dunbartonshire and provide safe, pleasant cycling conditions for everyone whether they’re commuting, heading to school, or riding for leisure. The plan is to finish what the council started! Bring your own bear and help us build a symbolic bears way to show that we want safe space where little bears (and kids, and everyone) can safely cycle. Find out more here or sign up to the event page and let the organisers know you can help out – the more people who bring a bear, the longer our extended ‘Bears Way’ will be. Main Street is just one road in Cambuslang, but with a host of barriers to cycling. From narrow painted lanes, paint that places you in the door zone, persistent bike-lane parking, and muddled bits of shared pavement, it’s a microcosm of the sort of ‘cycle provision’ that we’ve come to expect. Instead of clearly thought-out protection, we get a mess — and that’s just not good enough. The plan is to clean this mess up (with a nod to the former Hoover plant nearby) and create a ‘hoover-protected’ bike lane. No need to bring your vacuum cleaner (toy hoovers will be provided) but do come along to help set it up and try out the results. You can find out more here or sign up to the event page. 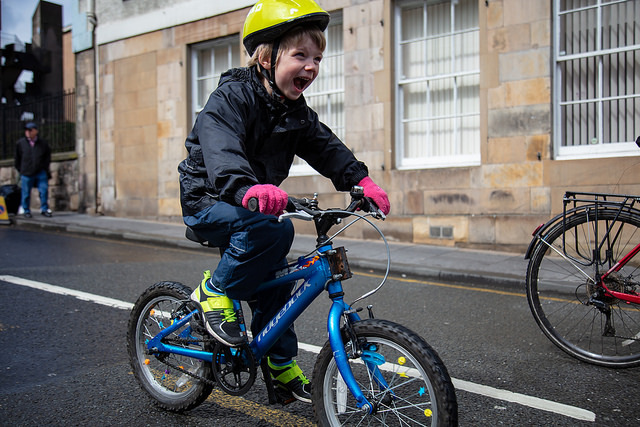 Despite being highly committed to active travel and having a school street closure during school run hours, the pupils at Sciennes still aren’t able to cycle to school as often as they’d like due to hostile road conditions. That’s why the school hold their massively popular monthly bike bus – which they’ll also be doing as part of this POP weekend. If you ever hear people say that kids wouldn’t cycle to school whatever happens, the Sciennes bike bus proves otherwise. You can see all the pop-ups we’ve announced listed here (or on our cool map-and-calendar gizmo) – but watch this space because more are coming in! And there’s still time to organise your own (but hurry) – email hello@pedalonparliament.org if you want to find out more. ← First PoPs are popping up!